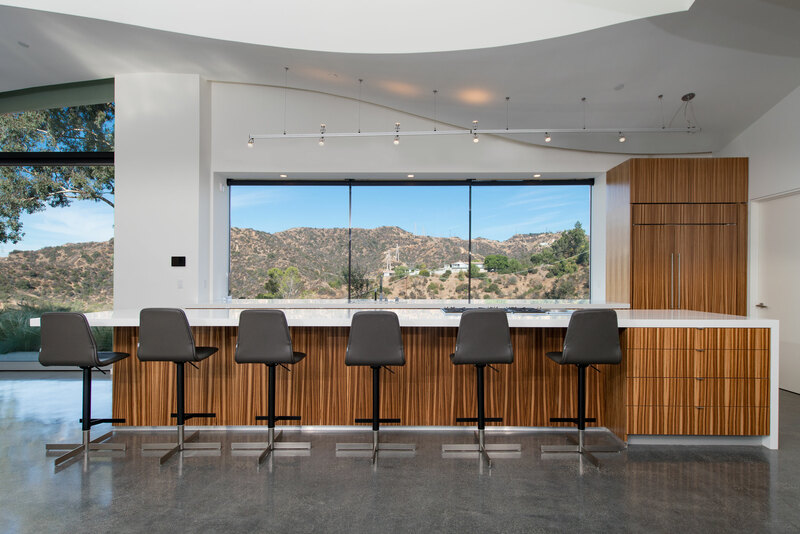 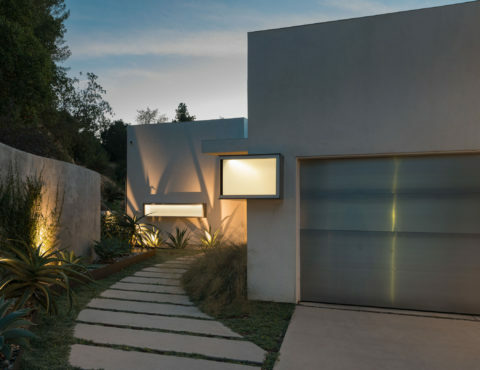 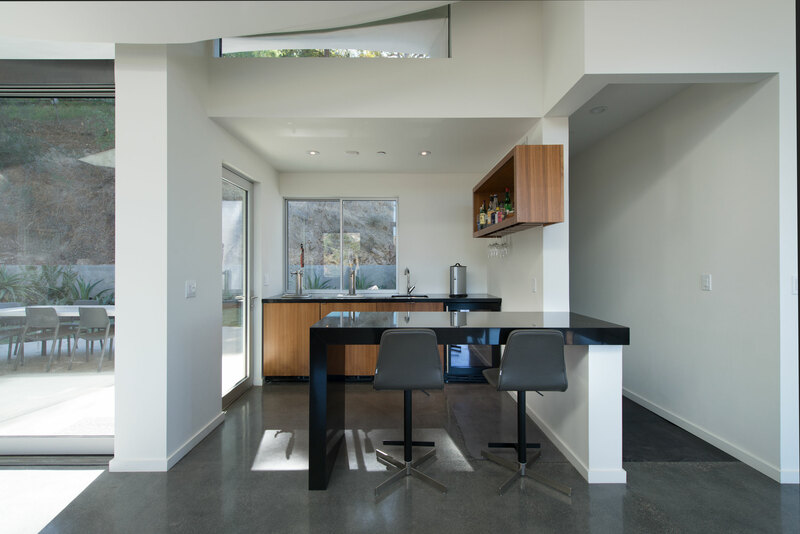 Tucked along a hillside ledge in Pasadena, the Balanchi residence explores a ceiling as a split ruled surface to modulate space in a loft-like living space. 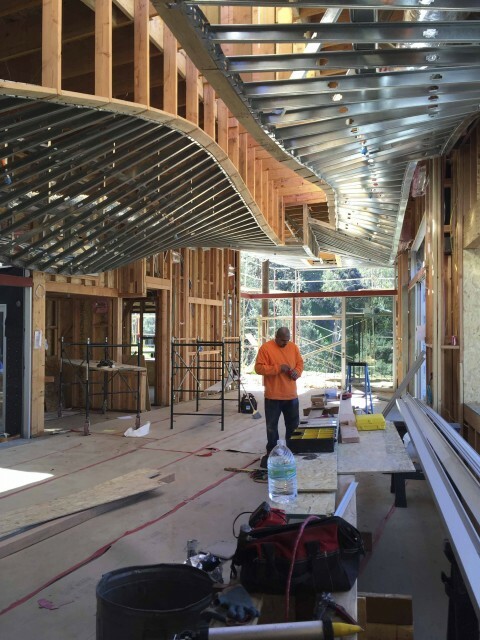 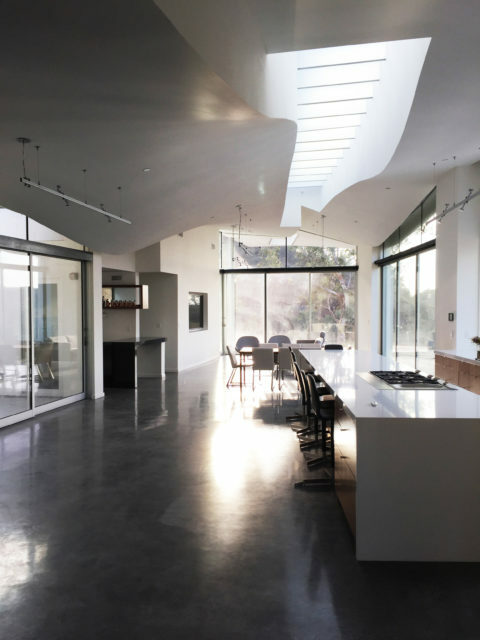 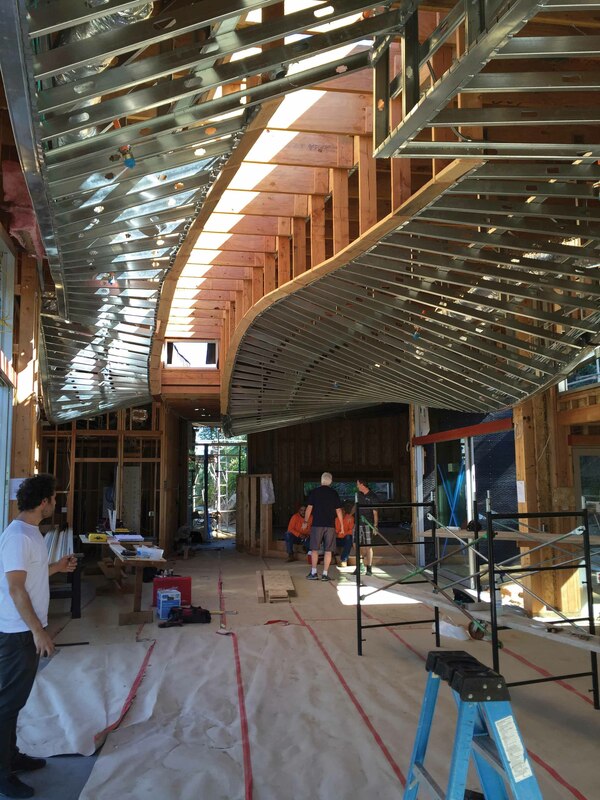 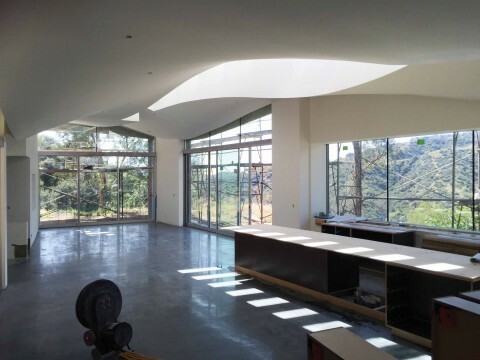 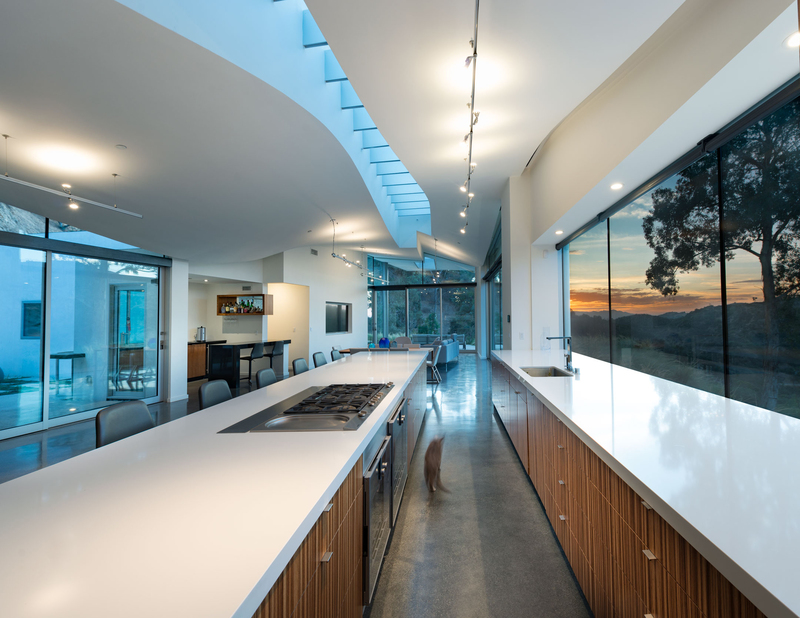 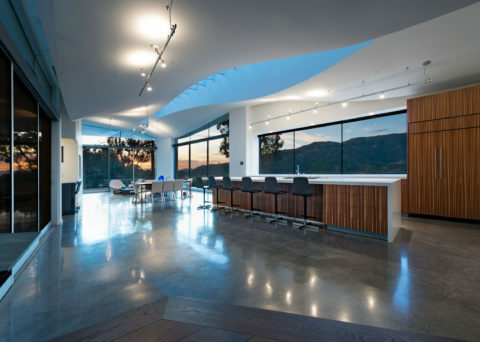 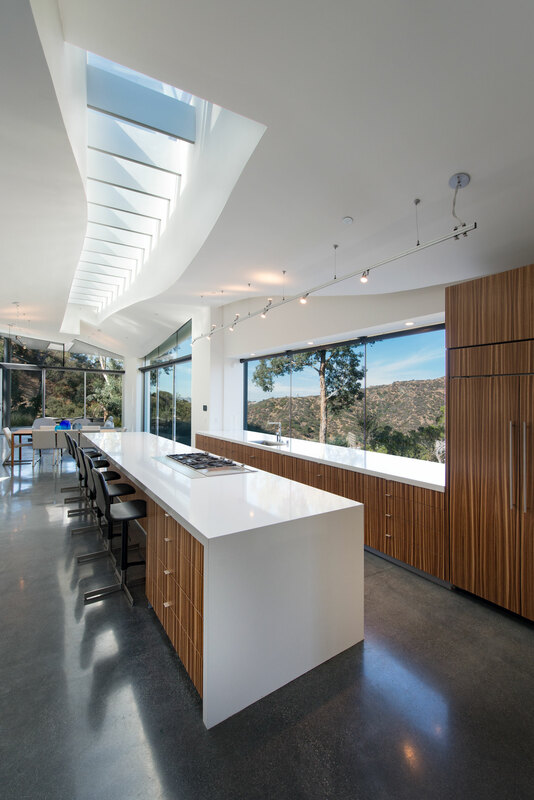 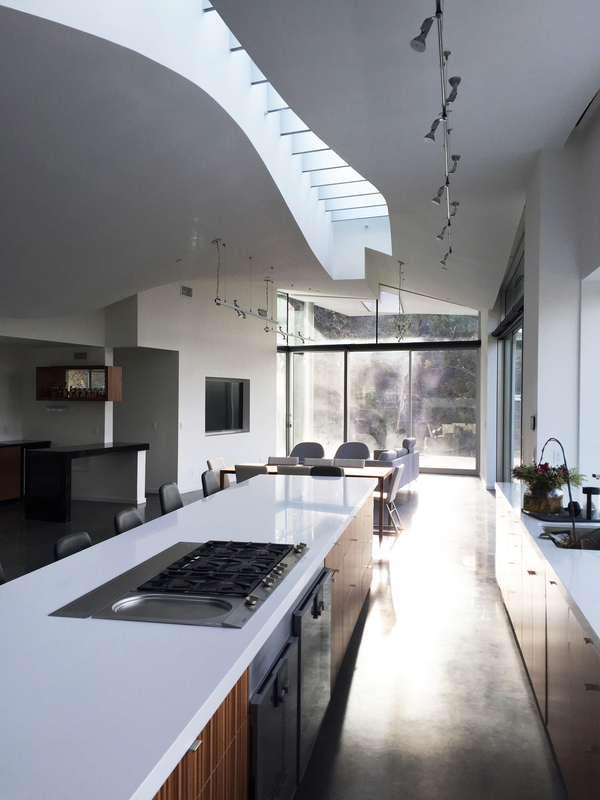 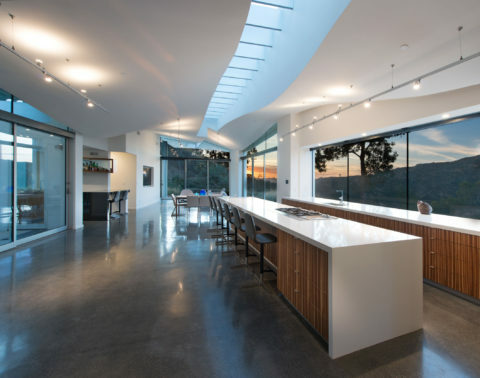 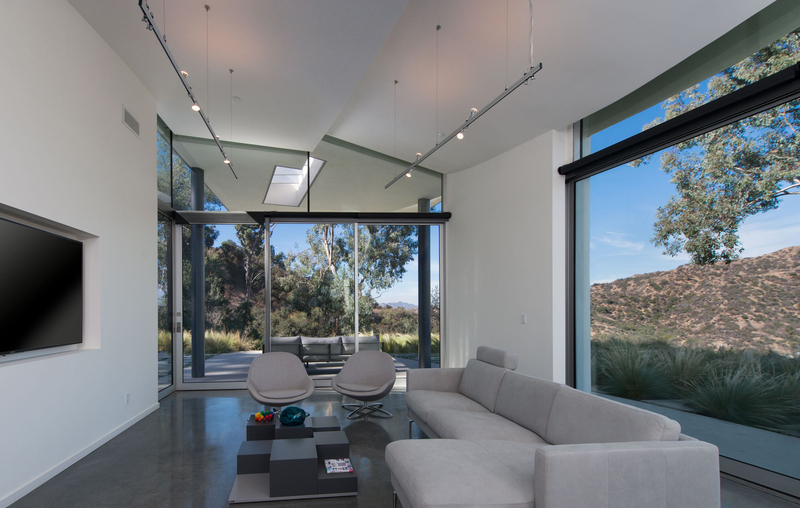 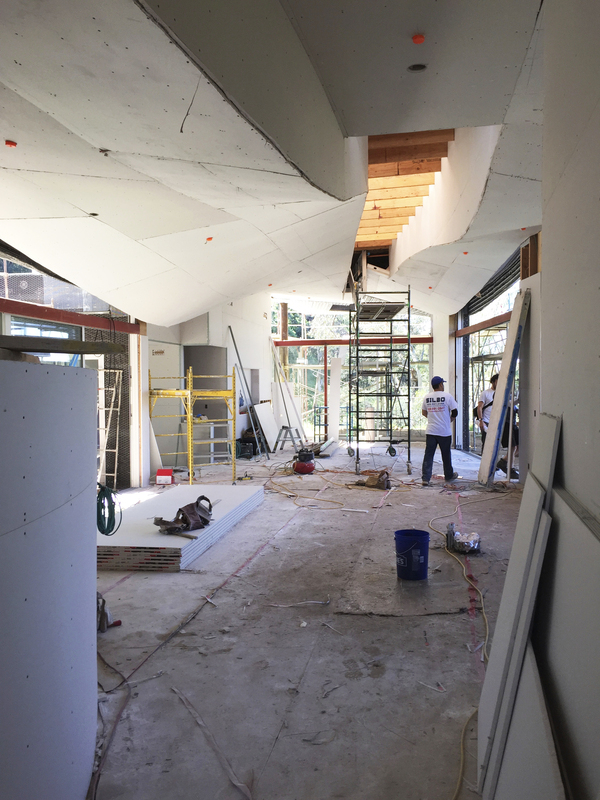 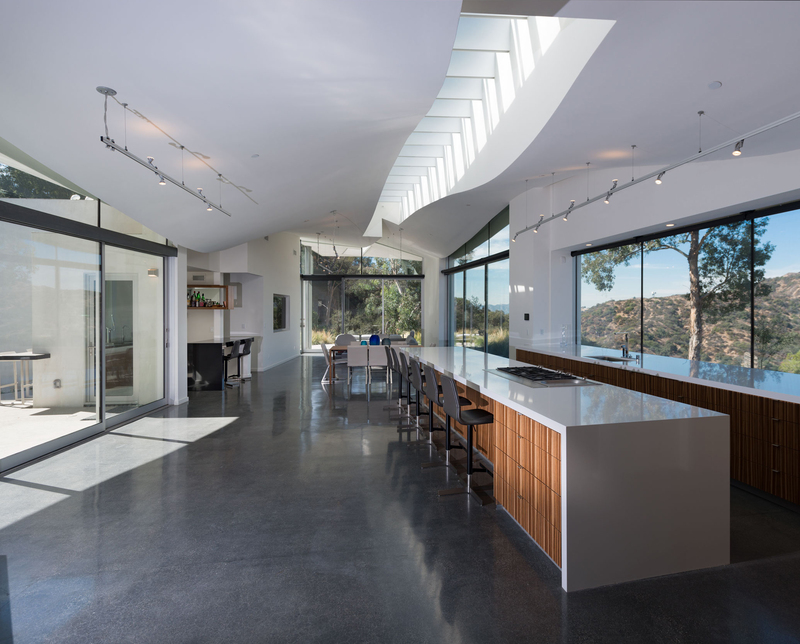 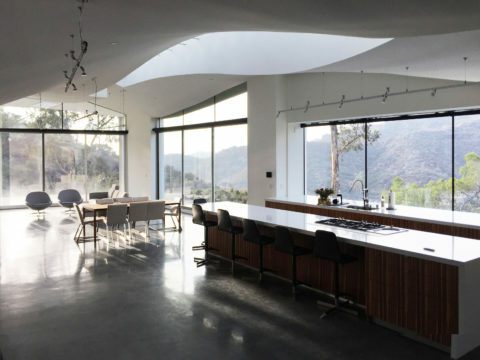 An undulating ceiling is split in half to create a variety of interior spaces, while a sculptural skylight is cut through the undulating surface to emanate natural light in the center of the home. The undulations in the ceiling modulate the light, allowing for both darker media spaces and light-filled living spaces. 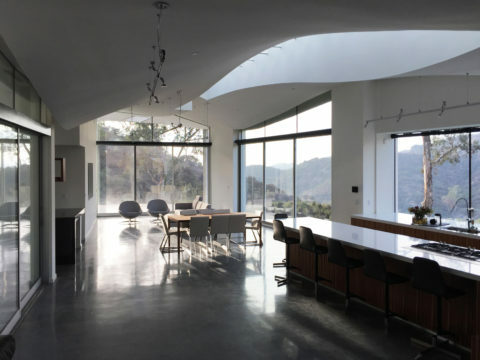 The home’s main living area soars over a rugged hillside, while the undulating ceiling connects the home to the more intimate internal courtyards and terraces. The home is simultaneously tucked onto the existing ledge and soaring over the canyon landscape beyond.